Contact Pete if you have any questions about your Outlook email account. Reminder: your library email account is not for personal use; I urge you to set up a Gmail, Yahoo, or Hotmail account for all personal email. Thanks for that reminder, Joy. 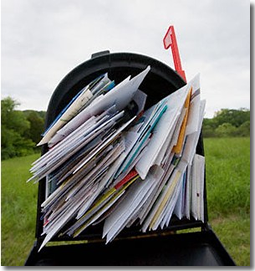 Here is a short article that offers 8 tips for helping to manage e-mail. I have already cut down my inbox mail significantly!